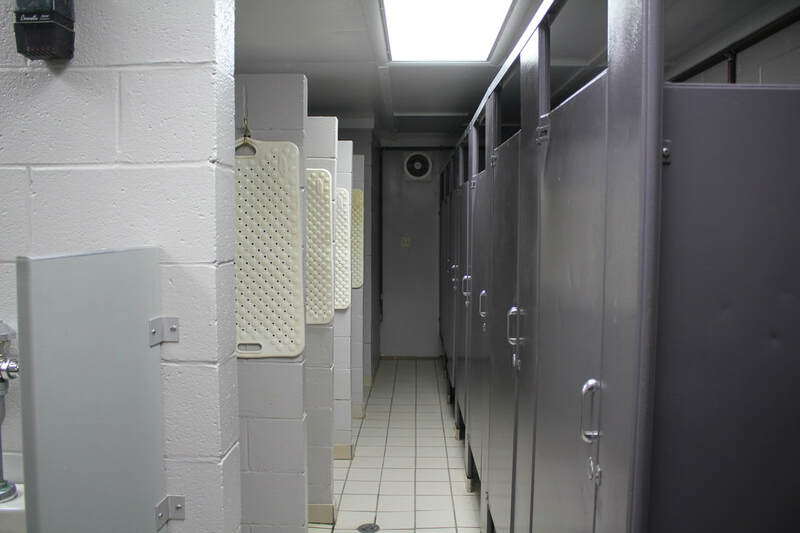 16 Rooms: Each containing 2 queen beds, 14 bunks, and a private bathroom of two showers, two stalls, and two sinks. Comfortably divided dorm style building featuring 8 rooms of 21 bunks. 2 large, completely separate bathrooms are shared by 4 rooms. 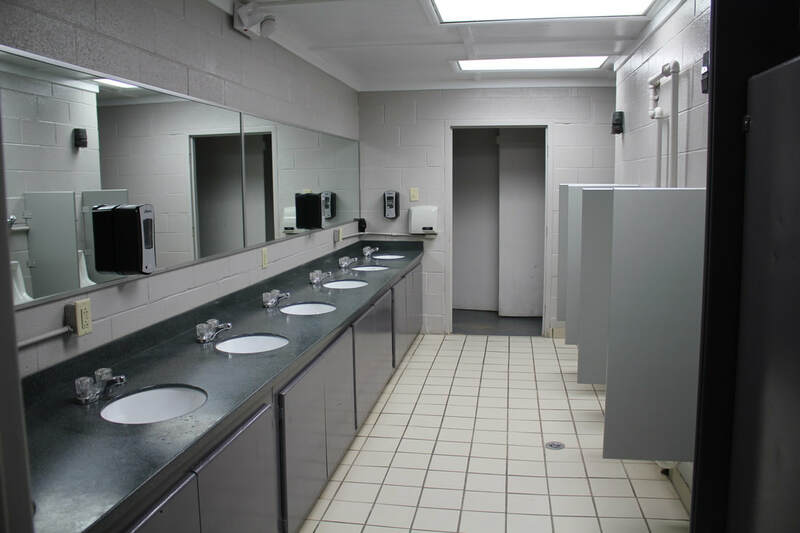 A two-story building featuring 6 rooms of 24 bunks all sharing a clean bathroom facility. This dorm building sits at the front of campus featuring comfortably large rooms and dorm accessible bathrooms. Each of the 6 Quail Run cabins feature a front porch, 10 bunks, and access to a shower house only feet away from your back door. The gymnasium guests rooms are 10 comfortable, individual rooms with linens provided. The Bluff House, apart from its beautiful view, offers three master suites with private baths, a fully functional kitchen and living space. Built in the early 1900's, the Bluff Cabin has that classic yet rustic feel with a master suite and two loft bedrooms sharing one bathroom, living space, and kitchen. 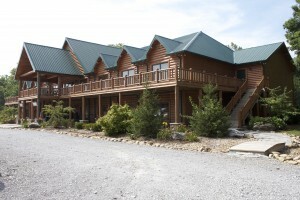 Each of the 5 Lakehaven cabins feature a master suite, master bath, loft beds, kitchen, and living area with fireplace.